The results are in. 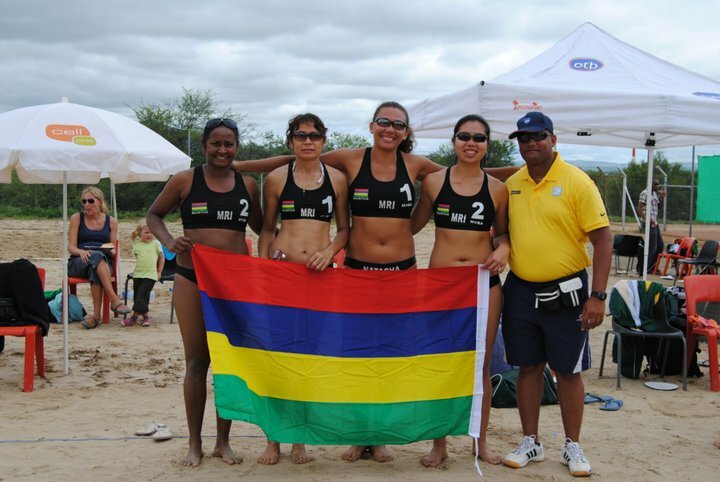 The Mauritius Beach Volleyball teams consisting of Natacha Rigobert/Elodie Li Yuk Lo and Marjorie Nadal/Prisca Seerungen came out victorious, combined with a total of 7 wins and 1 loss. It was a great tournament hosted by the Namibian Volleyball Federation. First day of action Mauritius was matched up against South Africa. A dominant opponent and the only African country on the women’s side who has competed at previous Olympics. The results are as follows. Day two of the tournament Mauritius played against the home team of Namibia. Even with a good home crowd cheering on their team, Mauritius came out on top with a 4-0 win. Great job ladies and keep fighting. Allez Maurice! This entry was posted in Beach Tournament. Bookmark the permalink.